You are probably asking yourself, what is Artful Thinking? We at CTL asked ourselves the same question as we sought to define how the arts play a critical role in PBL classrooms. We established Artful Thinking as a way of supporting students in approaching learning, problem solving and creating using an artist’s perspective and design thinking. In particular, the process of design thinking with brainstorming, ideation, prototyping, testing and refining mirrors the artistic process and is especially appropriate for STEM/STEAM projects. What problem are the students trying to solve in developing ideas for a surfboard (boards that are more buoyant)? What are some original or unique approaches that would address the problem? What might a prototype look like based on one of the approaches? How can the prototype be tested and what can be learned from the test? What refinements are made to create a surfboard that will address the original problem and that represents the next generation of thinking about surfboards? What aesthetic qualities need to be addressed in the design so that it has market appeal and functionality? How can design of the surfboard project emphasize craftsmanship so that students complete their best work and take pride in the final product? For this project, science and math content related to proportion, weight of materials used, durability in the water, flexibility—would all come into play. Students would also investigate what styles of surfboards appeal to buyers, and might want to consult outside experts related to both design features and market knowledge. Students could investigate what beginner-style surfboards are currently on the market and also consult with consumers and field experts to build their knowledge and inform their projects. Artful Thinking uses the arts to design projects and products in creative and unique ways. The idea of multiple perspectives prevalent in the arts informs the way students and their teachers approach project and product development. Craftsmanship is a key feature of Artful Thinking, meaning students refine their thinking and the work they produce, striving for higher levels of quality so that they feel pride in the final product. While many projects involve the arts, whether in arts production or in the design qualities of the final product, Artful Thinking helps students individually and as part of a community solve design issues in ways that pay attention to aesthetics. 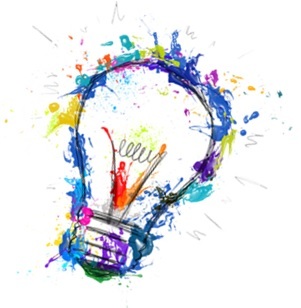 An article written by Andrew Miller and posted by Edutopia defines arts integration within the context of project based learning as having these four roles: Arts as the Entry Event, Arts as Culminating Product or Performance, Arts as Scaffolding, Arts as Formative Assessment (PBL as the Context for Arts Integration). The roles when put into practice embed Artful Thinking within the structure of PBL. What makes Artful Thinking such an important component of the PBL model is that it lifts student-generated projects from what could be an arts-based activity not central to the work students are accomplishing, to a well-crafted product or performance, honed over time and designed to meet a real world need in an original and inventive way. From its inception in the mid 1990s, CTL has incorporated into its work inquiry based approaches to classroom instruction, as well as a healthy dose of the arts to spur creative thinking and artistic expression. For more than 20 years, the arts have remained a hallmark of our professional development, arts program evaluation and other arts-related initiatives. Several years ago we endeavored to codify our inquiry based approaches into a formalized project based learning (PBL) model, drawing on what we’ve learned and developed over the years. (See an earlier post on our model: CTL’s Vision of Schooling Includes Project Based Learning, and our completed model page.) 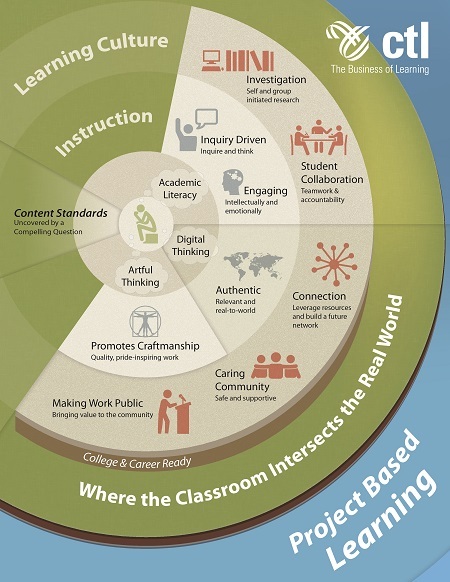 We believe our PBL model is both comprehensive and nuanced, and what distinguishes it from others is in part the emphasis on Artful Thinking, as shown in the graphic included in this post. If you want to learn more about Artful Thinking or CTL’s PBL model, post a reply below or contact Deborah Walker (dwalker@ctlonline.org) or Roland O’Daniel (rodaniel@ctlonline.org). This entry was posted in Blog and tagged artful thinking, arts, creativity, problem solving, project based learning. Bookmark the permalink.